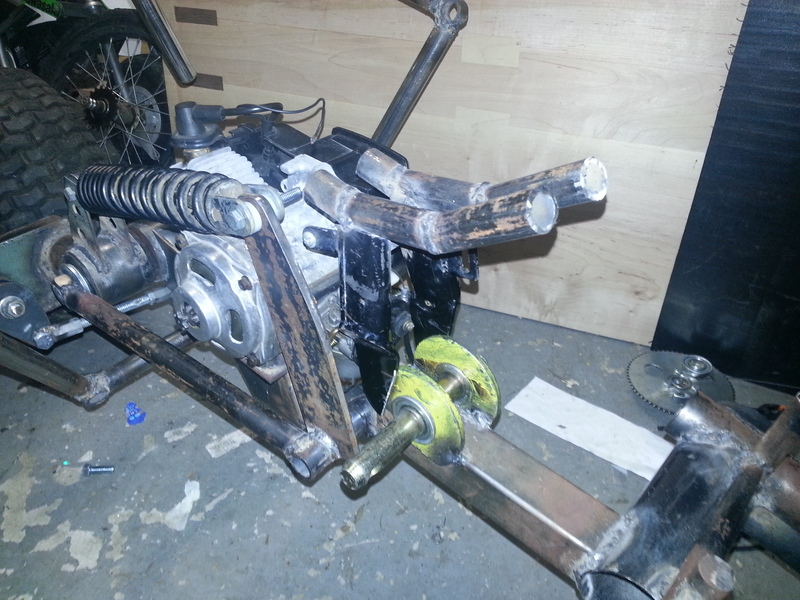 Been spending some time on the engine cover, in the front where it has a bump out shape, over the monoshock. I used a cup to make the shape, covered it wax paper, layed cloth over it, then tore the cup out, added a ledge, etc etc. 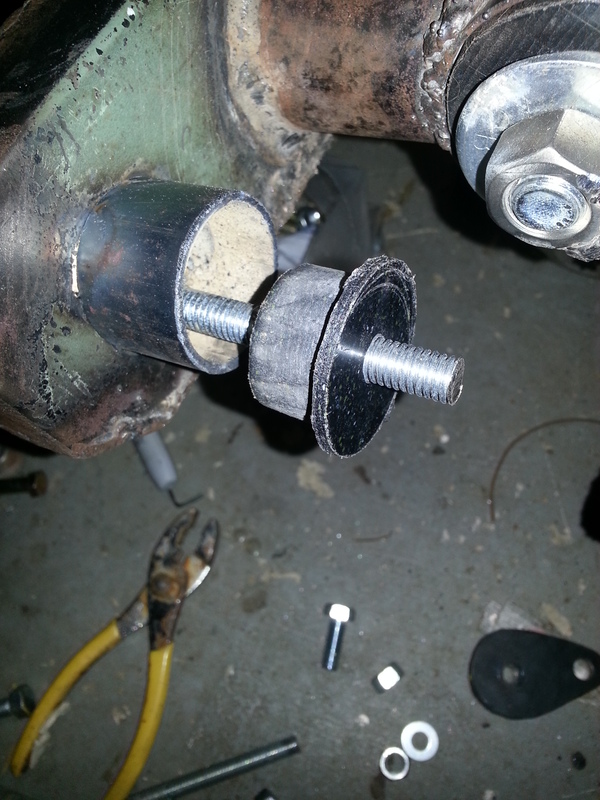 Lots of nights of doing a little here, a little there, each time, adding some thickened epoxy where needed. 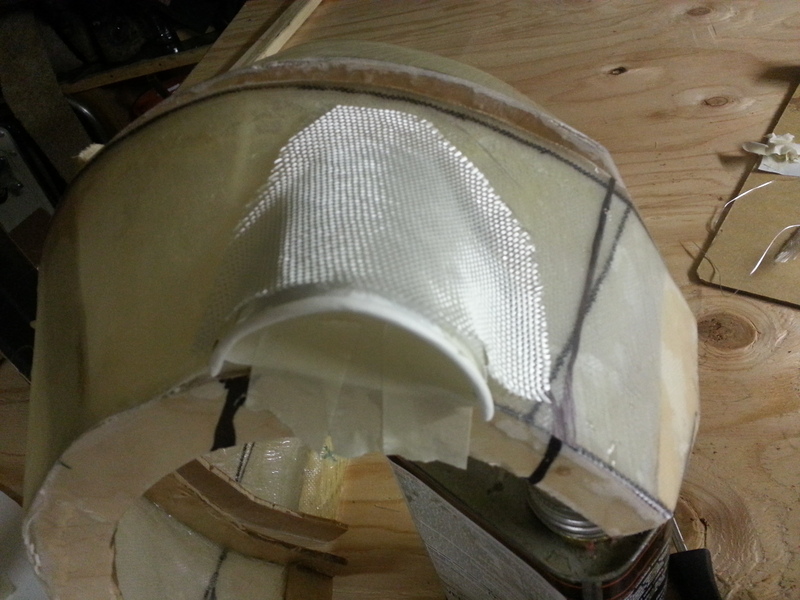 Almost ready to mount to the frame, and then smooth and perfect it with body filler. 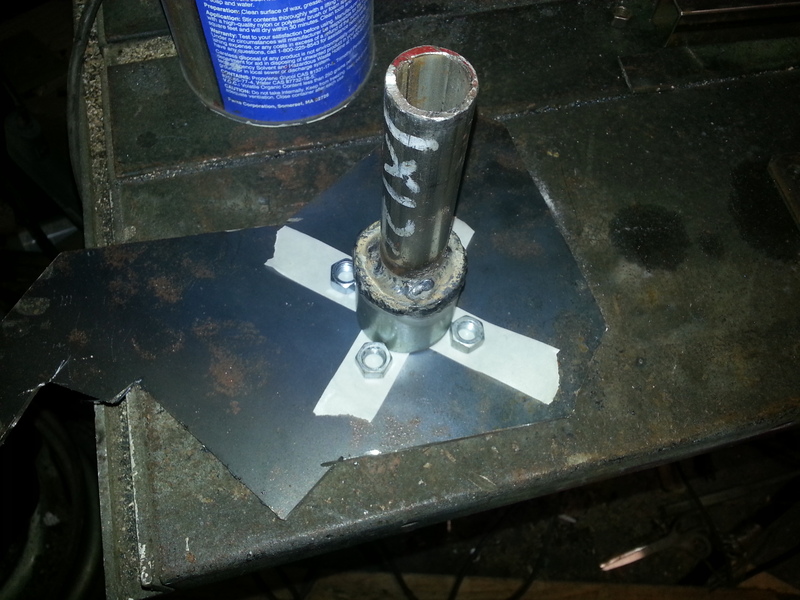 I also welded some nuts onto the rear hub piece, marked the hole locations on the wheel, and will drill the holes soon so I can attach the hub to the wheel. 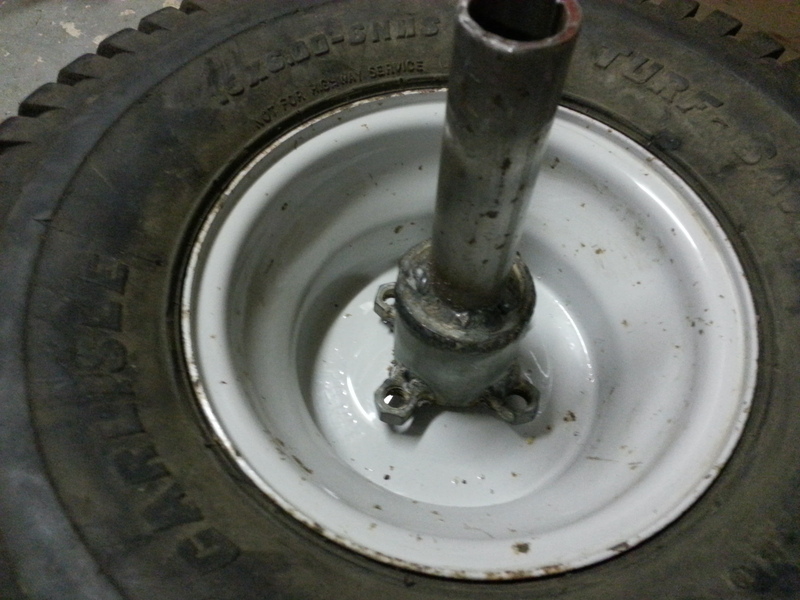 While laying fiberglass, and letting it harden, I have been working on the rear drive hub. It’s terribly hard to explain the many difficulties in designing it, as well as building it, but oh well, here goes. 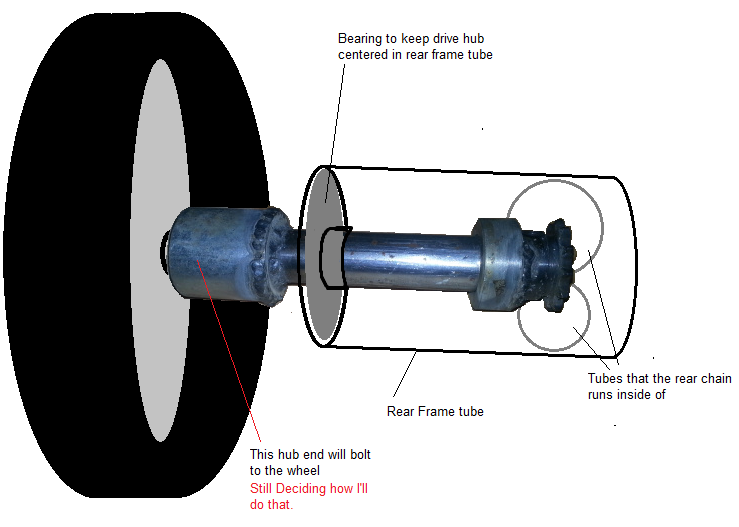 First, it needs to bolt to the rear wheel, then go inside the rear frame tube, yet still be supported by a bearing, have a sprocket that can come off, and the whole thing needs to have the 5/8 rear axle bolt go through it, yet it can’t touch that axle, cause the hub spins, the axle doesn’t. 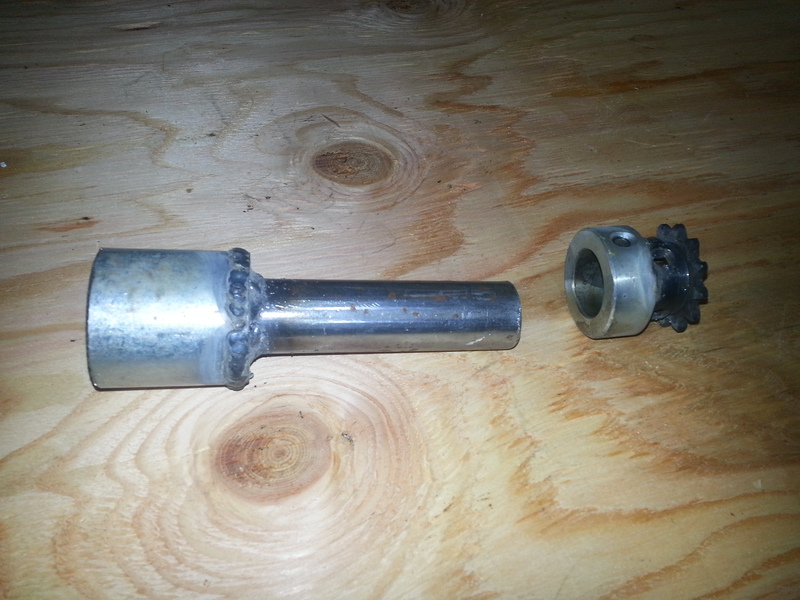 The sprocket is welded to a collar which slides onto the 1″ pipe of the left side of the hub. 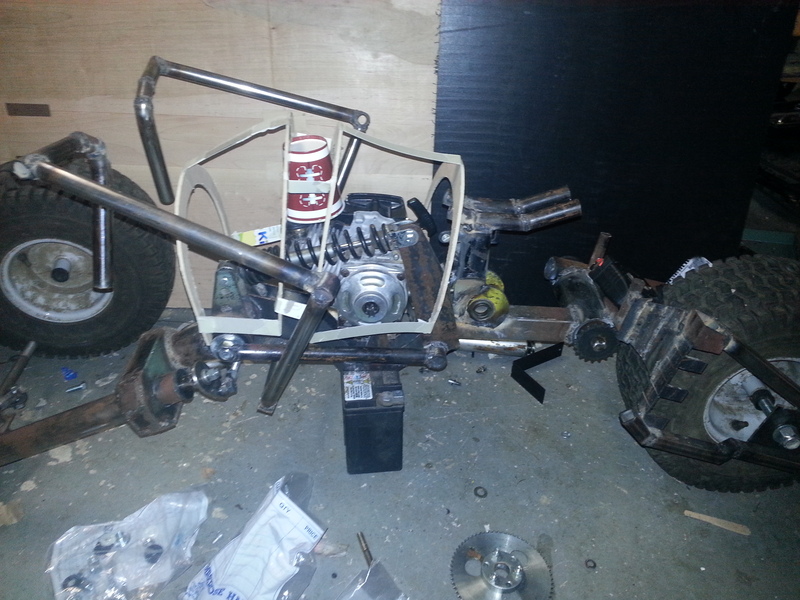 I had to have everything on a 3/4 axle to weld them together, so it will all clear the 5/8 axle later. The pictures can do the talking I guess. 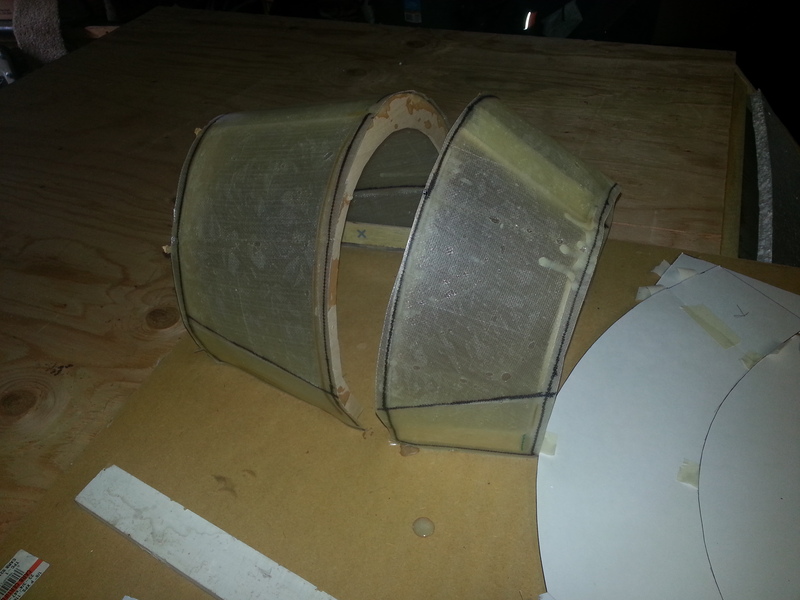 I began workin on the engine cover which has the appearance of a gas tank. 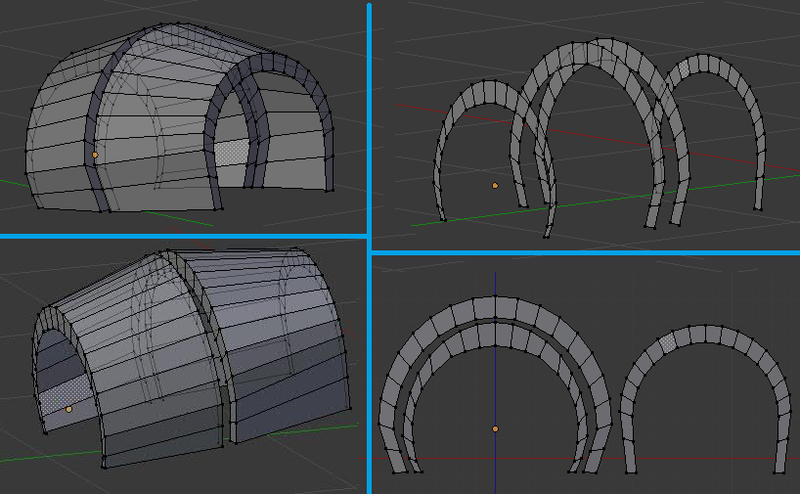 First, I designed it in 3d, trying to make it look like the real one, yet fitting my desired dimensions. 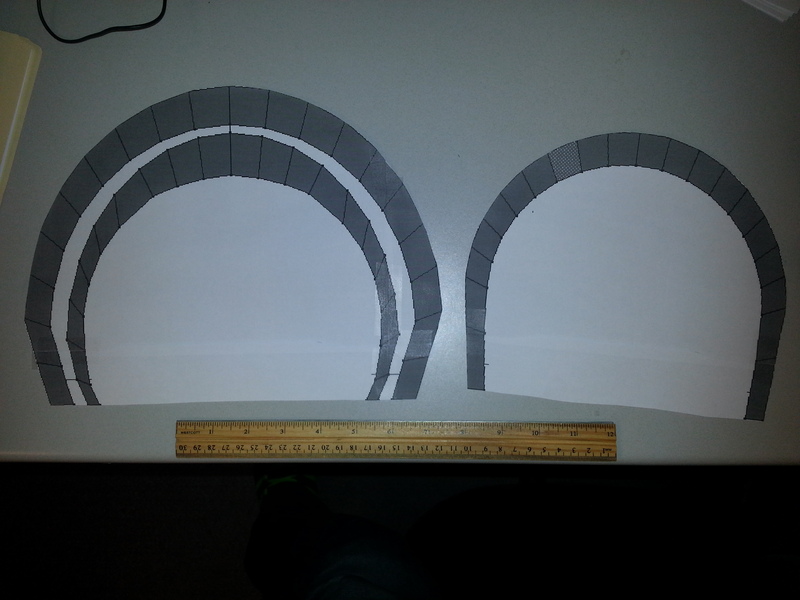 Then I printed out some templates of all the end pieces, to cut them out of plywood. 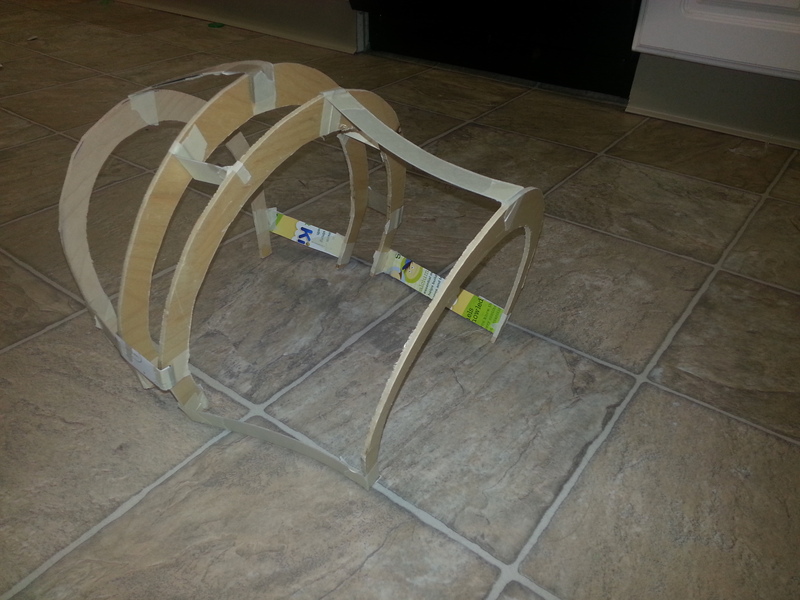 I’m gonna modify them a little, then add some wood cross supports similar to what I have in carboard for now. 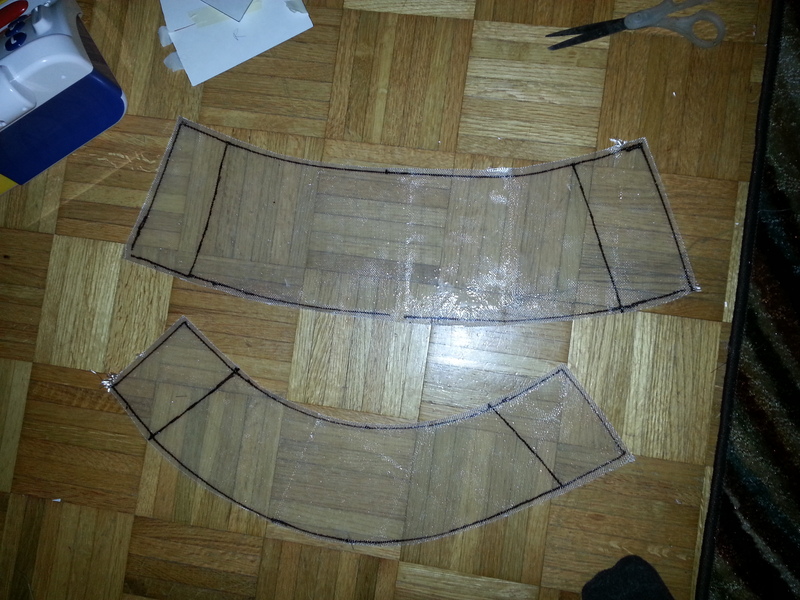 Then I’ll cover them with fiberglass sheets and reinforce everything to be a nice fiberglass shell. I finished the grip ends of the handlebars. I scored a kids bicycle for $1.25 at a thrift store, and cut its handlebar ends to get the little bit of curve where I attached them to my bars. 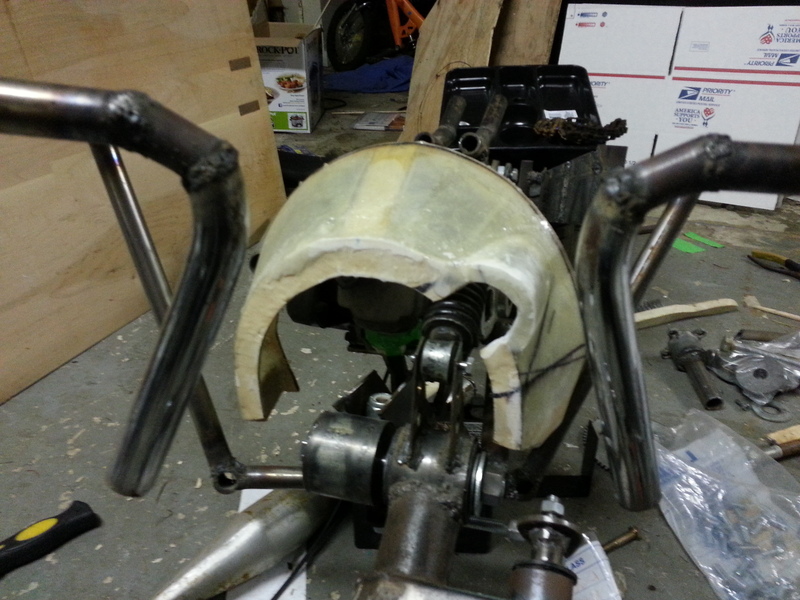 Then I cut the rear end of the bicycle off and used it for the seat posts, made the seat supports, and tacked them to the seat posts. 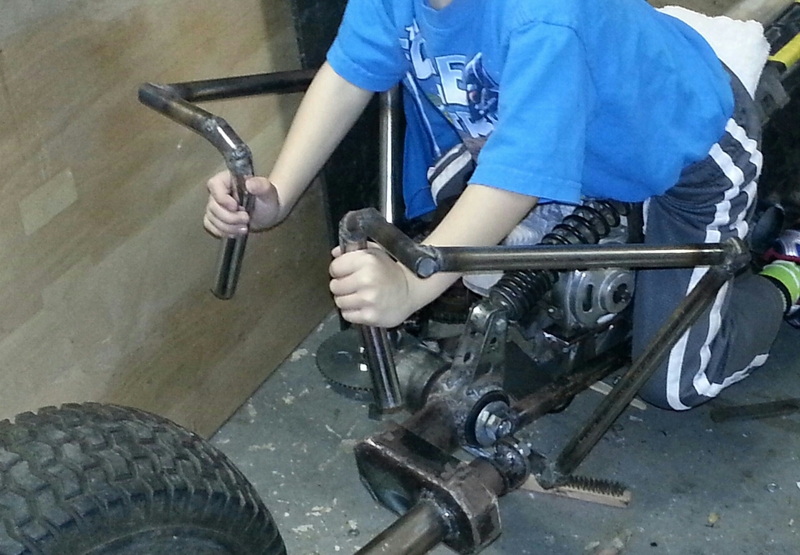 Now just need to finish welding the seats posts to the frame. 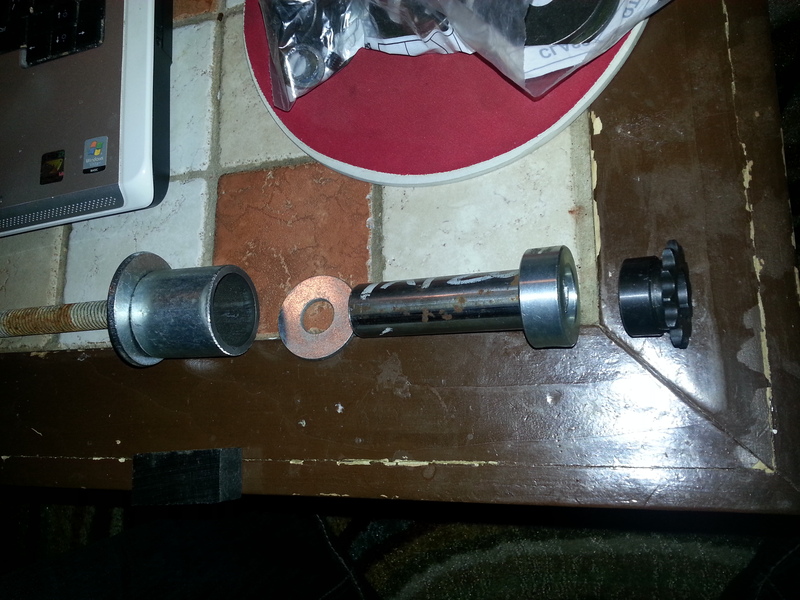 I finished all the main components of the steering. I just kinda guessed on the lengths of all the lever arms involved. I still need to adjust the tie-rods so the wheel is straight and the turning radius is basically the same in both directions. 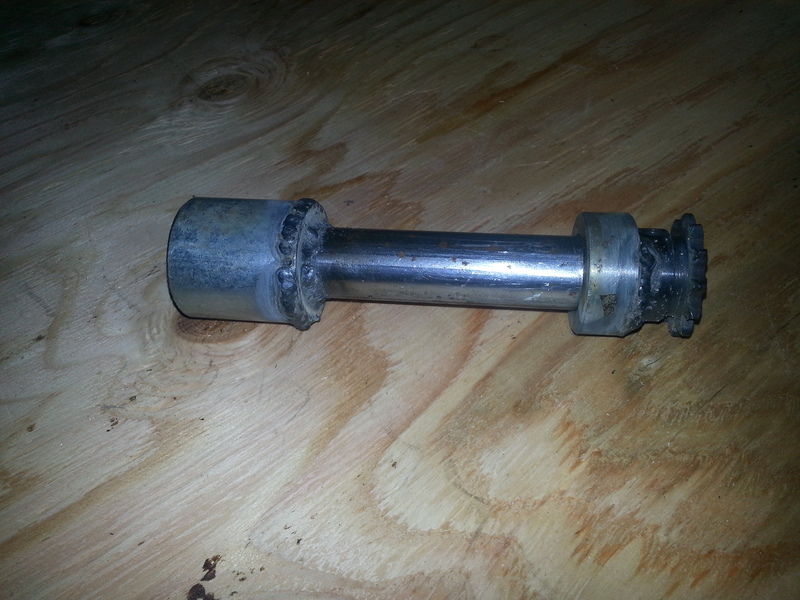 And I need rubber washers everywhere a bolt head and tie-rod end rub each other. But overall, seems like it should work out fine. 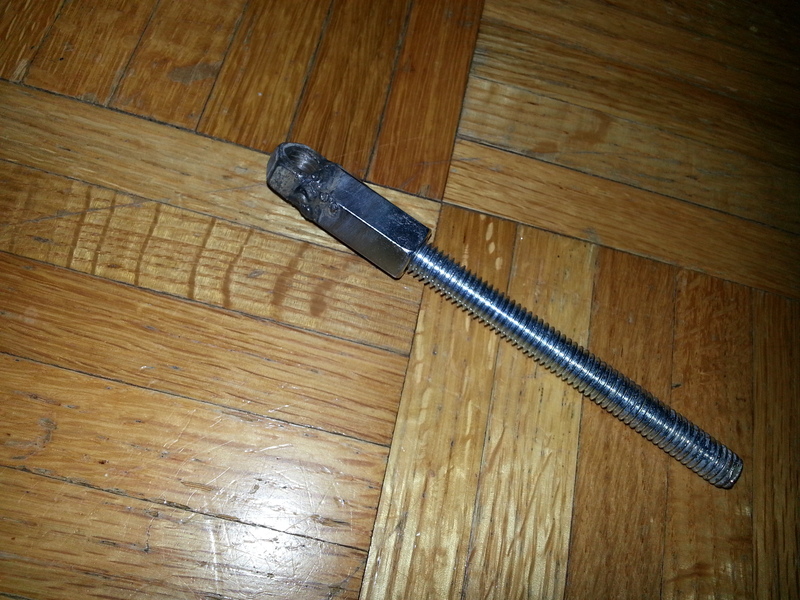 I made some tie-rod ends by welding a nut to the end of an all-thread coupler.